It’s nice to have Valentine’s touches in your home. But, I don’t necessarily want to break the bank with a holiday that only has a 14 day decorating season. 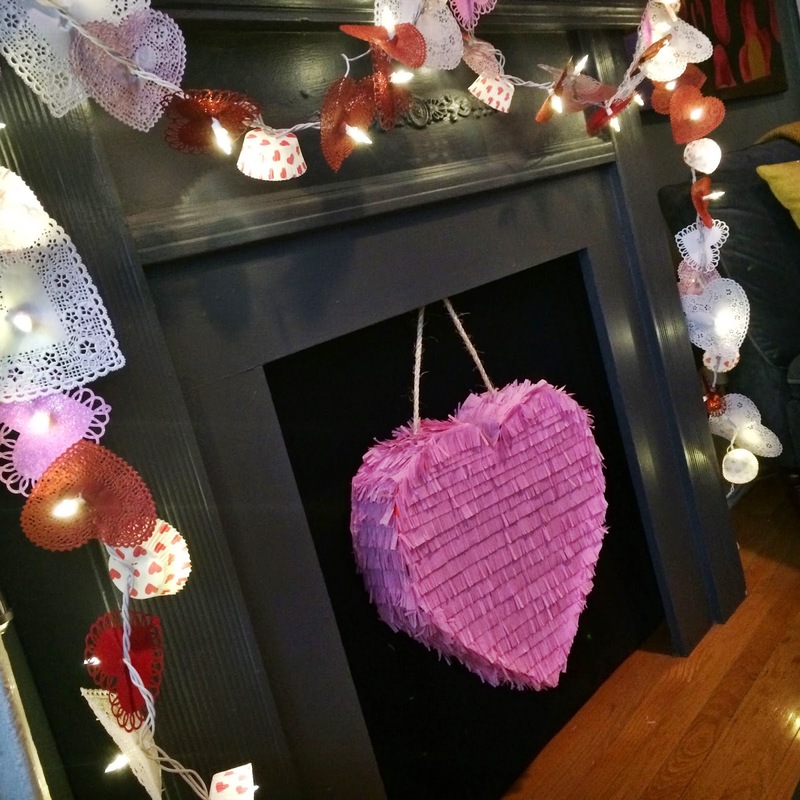 That is why this adorable lighted Valentine’s Day garland is the perfect project for those of us on a budget. The number of light bulbs on your light strand will determine how many total doilies and cupcake liners you will need to purchase. One item per light bulb. This project couldn’t be easier. 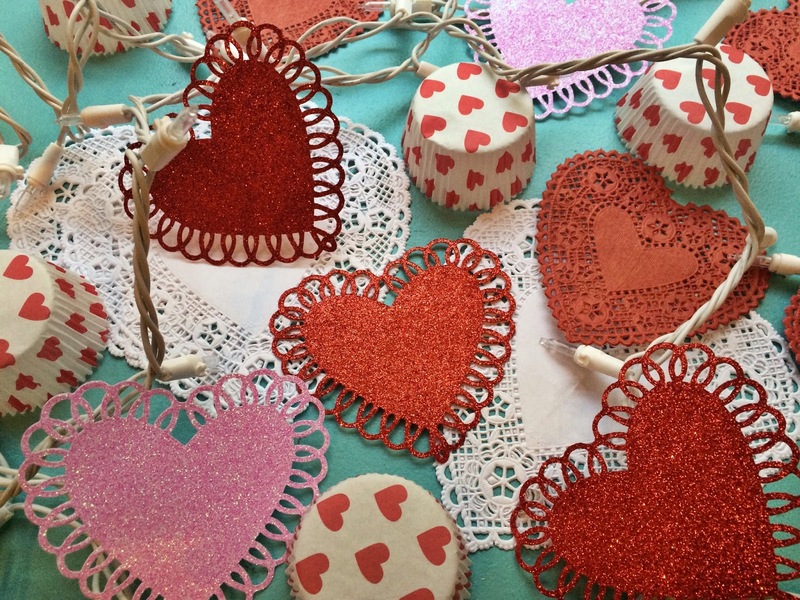 Simply puncture each individual light thru the center of a heart shaped doily or a cupcake liner at random until you have the whole strand completed. I pushed my components just past the bulb itself. 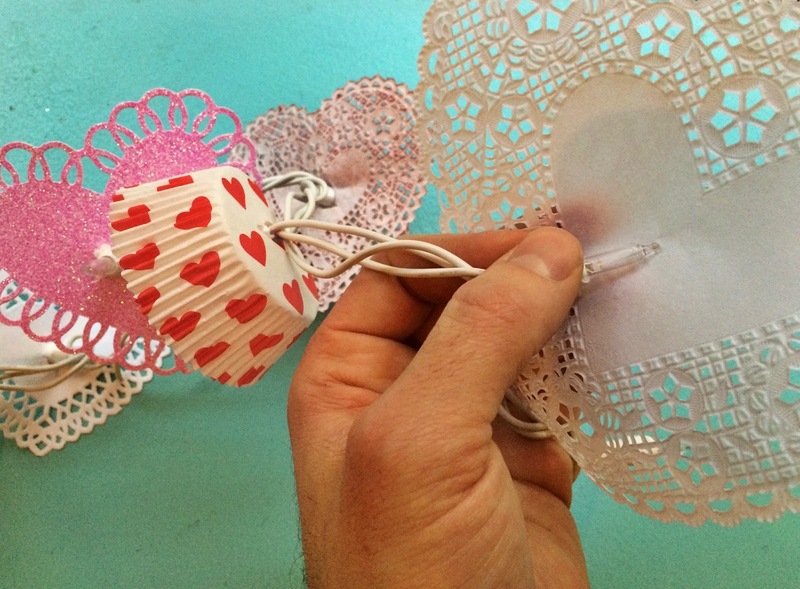 Hang, plug in and create some instant romance! As always, never leave lights unattended. 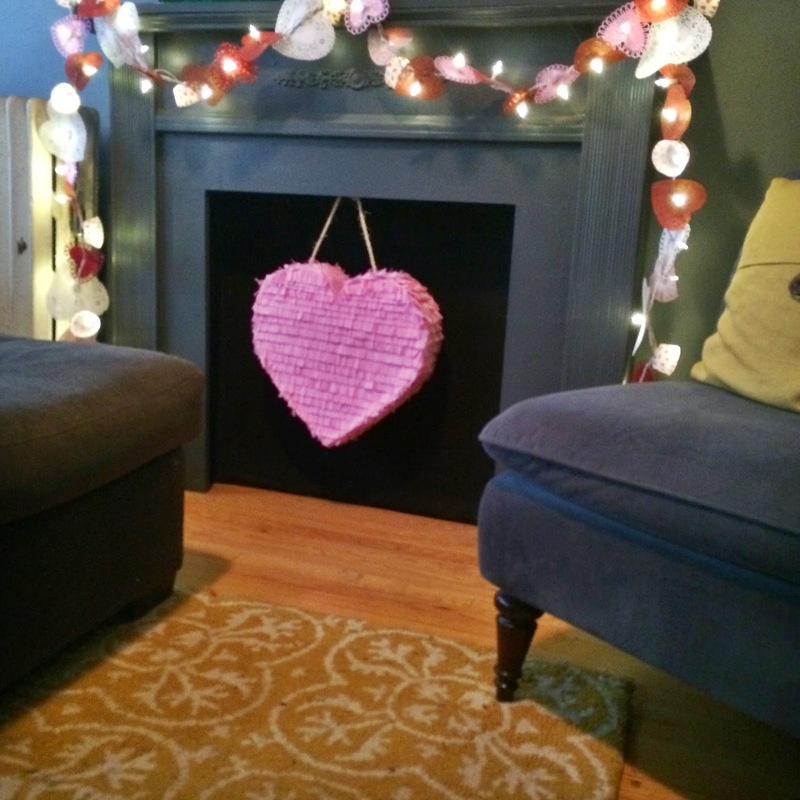 My strand looks perfect on the mantel next to my heart shaped piñata. 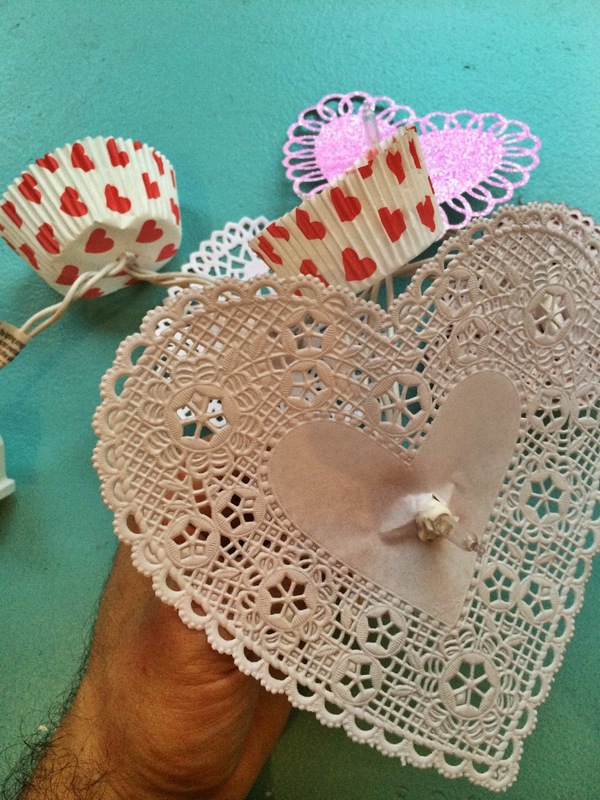 More easy and inexpensive Valentine’s Day projects to come! that’s lovely and doesn’t break the bank Bonus!!! Thank you! I love an inexpensive project. Truly love this! Happiness times 100! I love your great ideas! Thanks, Mark.